When you give to the Flora of Virginia Project, you participate in keeping the science current—for botanists, ecologists, students, consultants, and plant people in Virginia. You also join others concerned about the fate of Virginia’s natural environment and help protect it. For gifts of $100 or more, we will give you something to express our appreciation for helping us in our mission. The table below shows what gifts are available to you, by giving amount. E-mail us to let us know which gift you would like to receive. Your gift is tax-deductible, per IRS regulations. You will receive from us a letter of acknowledgment that will include a receipt for use in your tax returns. The value of any premium you receive will be deducted from the tax-deductible amount. You will also be acknowledged in future reports, unless you’d rather not. $100–$499 Set of 10 Flora of Virginia note cards, featuring illustrations from the book. $500–$999 One license for the Flora of Virginia Mobile App. Tell us whether you need Android or iOS. 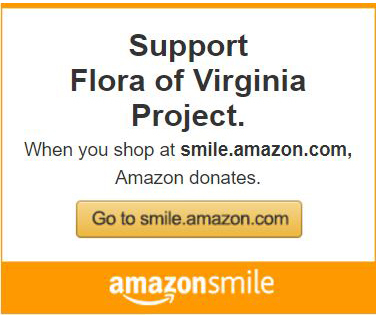 $1,000 or more One copy of the book Flora of Virginia. Click here to see the current set of Flora illustrations, completed in watercolor by the artist, Lara Call Gastinger, and reproduced as giclées on fine paper. Just click the button below. 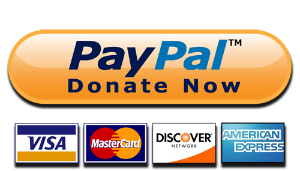 You can use your credit card within PayPal if you like. Again, don’t forget to e-mail us to let us know which gift you would like to receive. If you would prefer to mail a check, please send it to us at this address. Thank you! And again, don’t forget to tell us which gift you’d like!